We arrived at the restaurant...nothing had changed... and for my appetizer I ordered another one of my favorite French culinary staples. L’assiette de crudités. 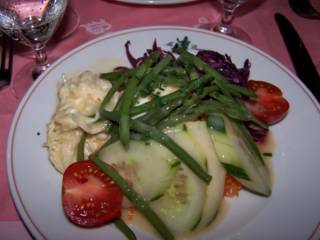 It's just a raw vegtable salad, but again the French do it in a way we can only dream of.